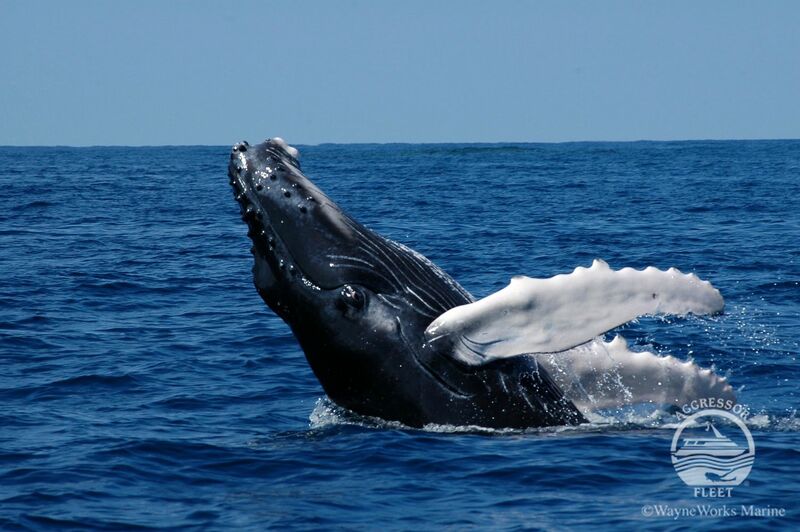 Join us and the Turks & Caicos Aggressor II to snorkel with Humpback Whales. 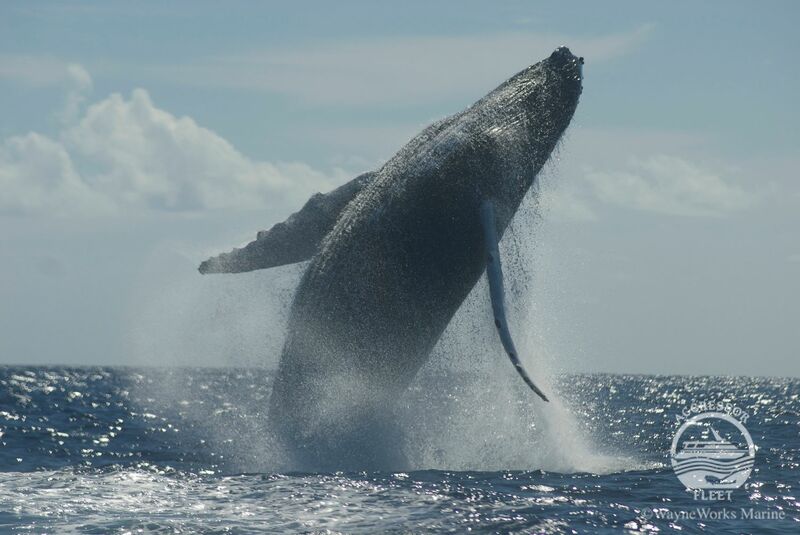 See them spin and play, and sense the power and grace of some of the most intelligent mammals on earth. It’s a life-changing experience! EARLY BOOKING SPECIAL: $500 OFF! ✓ Snorkeling only - no dive certification required! The Turks & Caicos Aggressor II moors in an area near the backbone reef of the Silver Bank where an old Greek freighter called the Polyxeni lies aground being rapidly reclaimed by the sea. 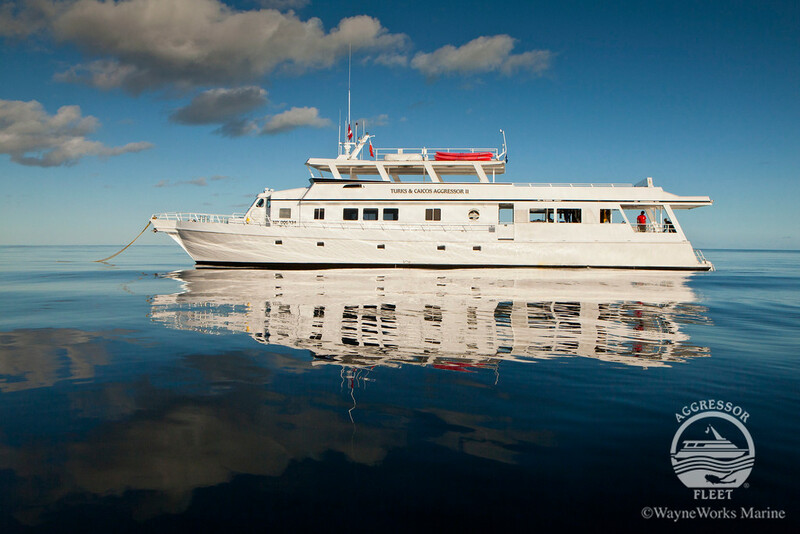 This extensive reef provides some protection and a comfortable anchorage for the yacht. 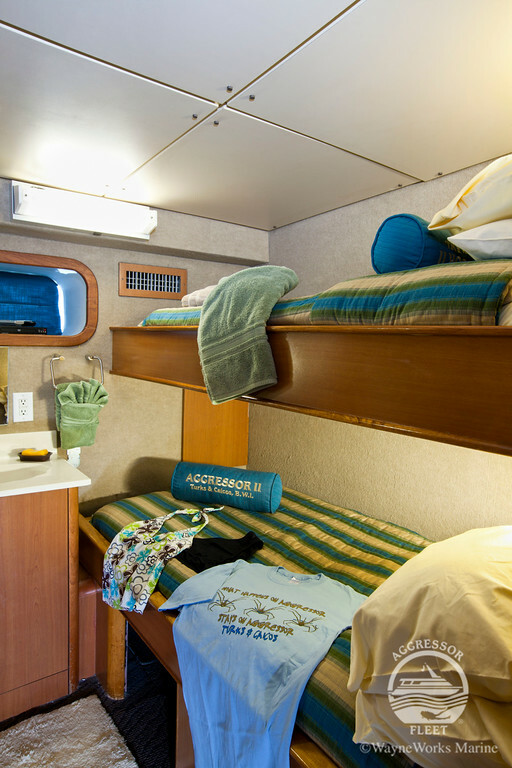 The tenders (with bimini tops) are launched several times daily and are solely used to bring you closer to the whales. Tender runs last one and a half to three hours depending on the proximity of whale activity and time of day. During the trip, you will enjoy two distinct types of encounters. One type will occur on the surface as you enjoy the spectacle put-on by rowdy males as they aggressively compete for the attention of the females by breaching, slamming into one another, lob tailing, spy hopping and fin and tail slapping. Needless to say, these activities can only be safely observed from a reasonable distance in the tenders. You will be snorkeling in water that averages 78°F. 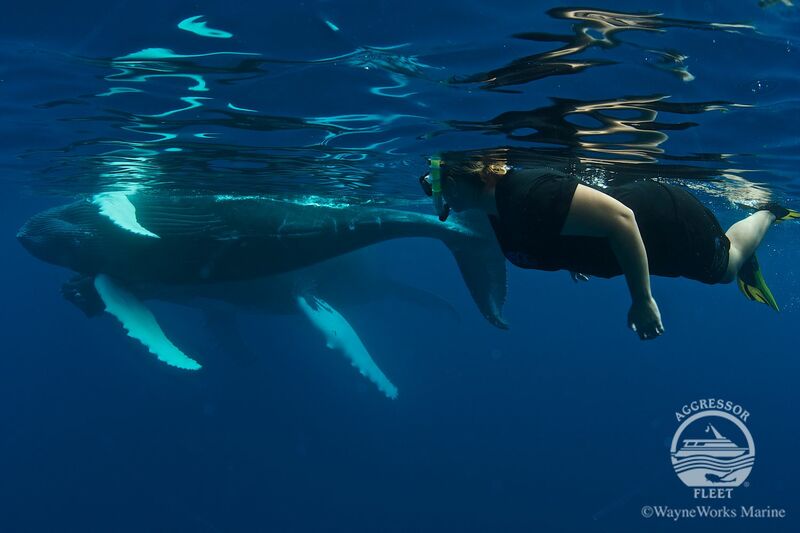 Most guests make as many as 2 “whale runs” each day, so some sort of protection is needed. 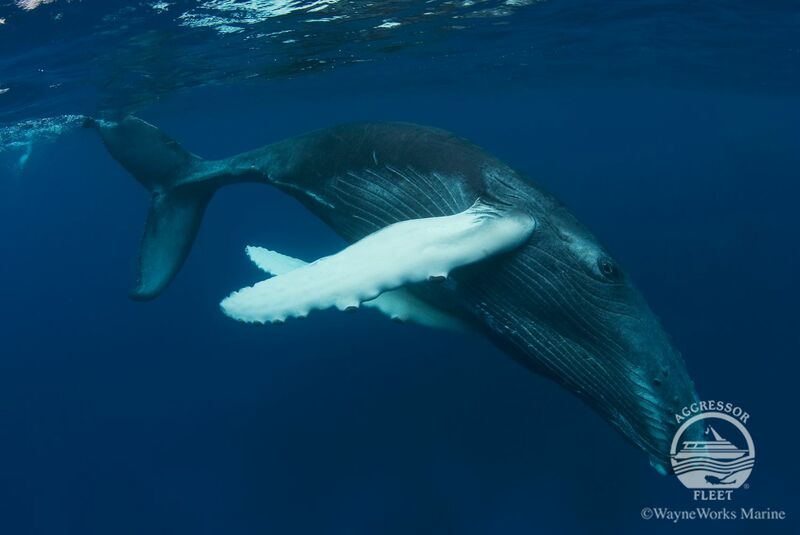 A 3-5mm wetsuit or shorty and full-foot fins are suggested. Most snorkeling is done from the tenders. 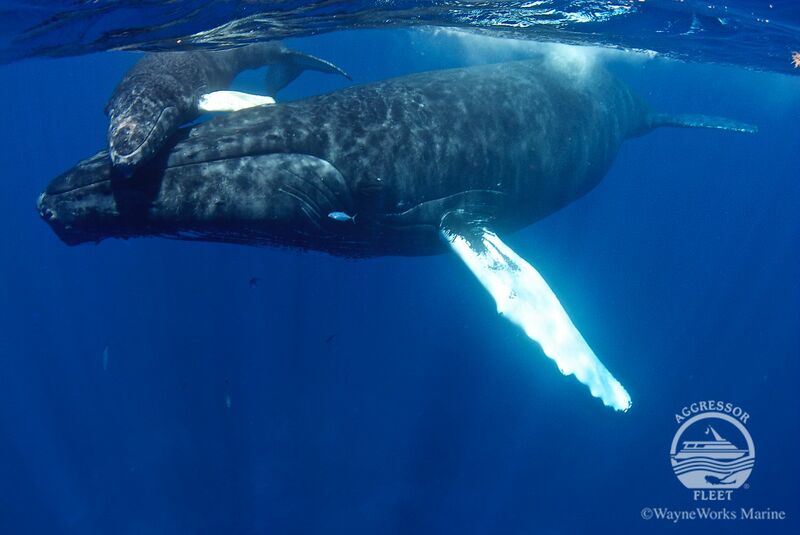 Some whale observations do occur from the mother ship. 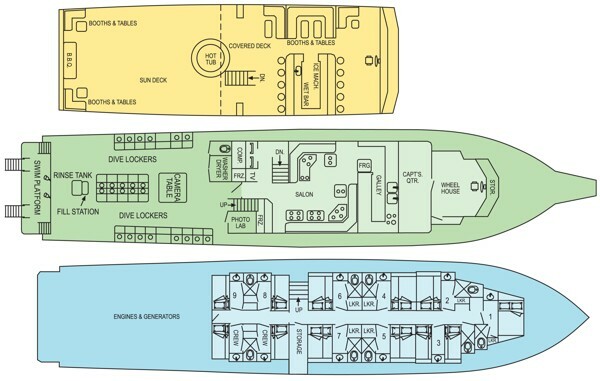 > SATURDAY: Boarding is at 4 p.m. with a 9:30 pm departure to Silver Bank. 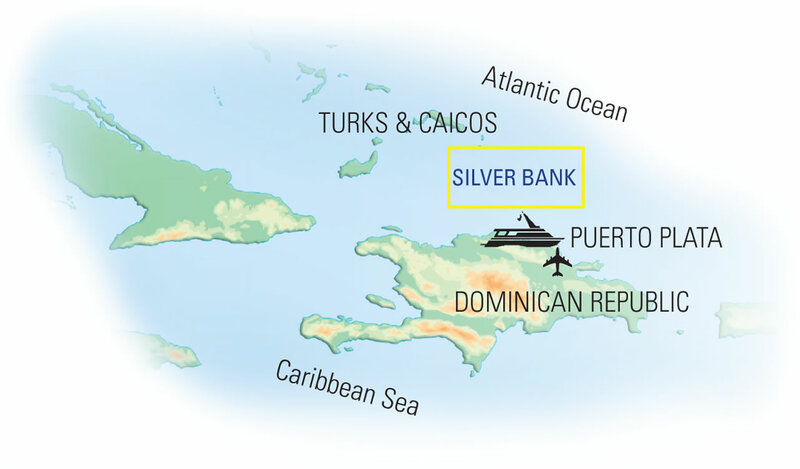 > SUNDAY: Arrival in Silver Bank is around 8:30 a.m.-10:30 a.m. Sunday weather permitting. Brunch/late breakfast while the crew prepares mooring and assembly of the tenders. The first tender run begins at 2:00 p.m. (2 tenders running). Afternoon tenders runs to the yacht at approximately 5:00 p.m.
> MONDAY - WEDNESDAY: First tender runs will commence immediately after breakfast. 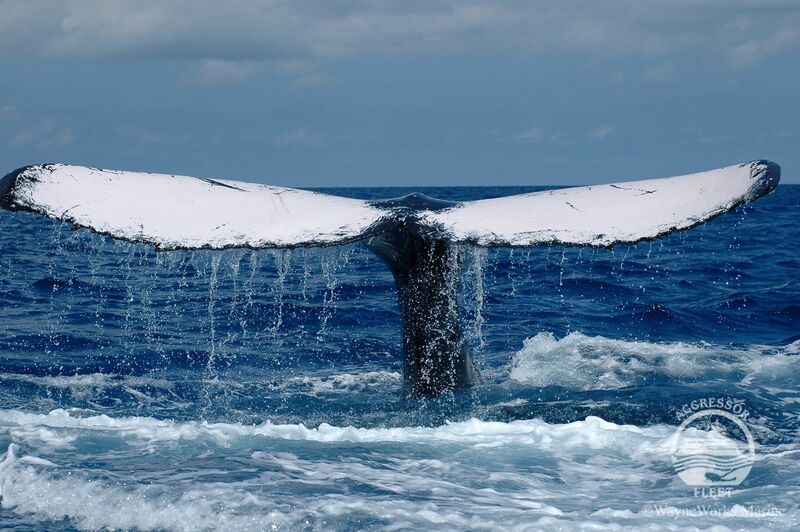 Whale runs are throughout the day. 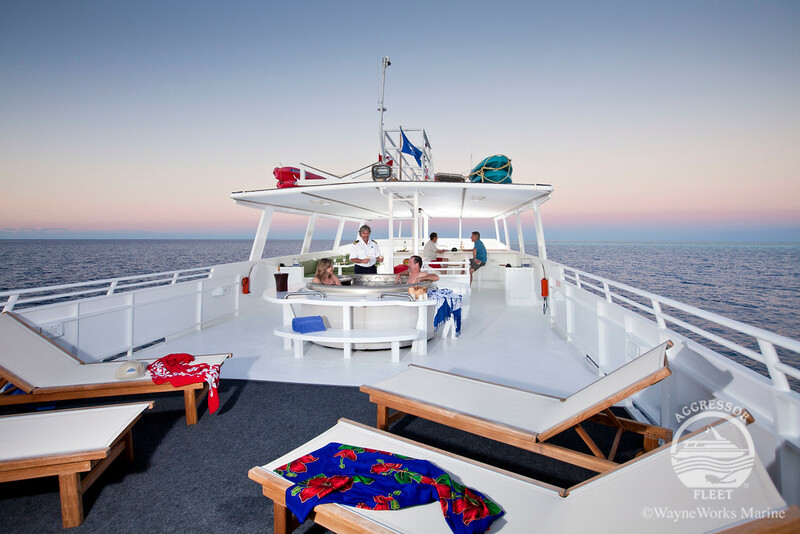 “Sundowner” cocktail parties on the sun deck every afternoon following whale runs. Nightly presentation and video will be after dinner. > THURSDAY: Two tenders runs will be offered prior to departure from the Silver Bank. > FRIDAY: The yacht returns to the Ocean World Marina in Puerto Plata late Friday afternoon. 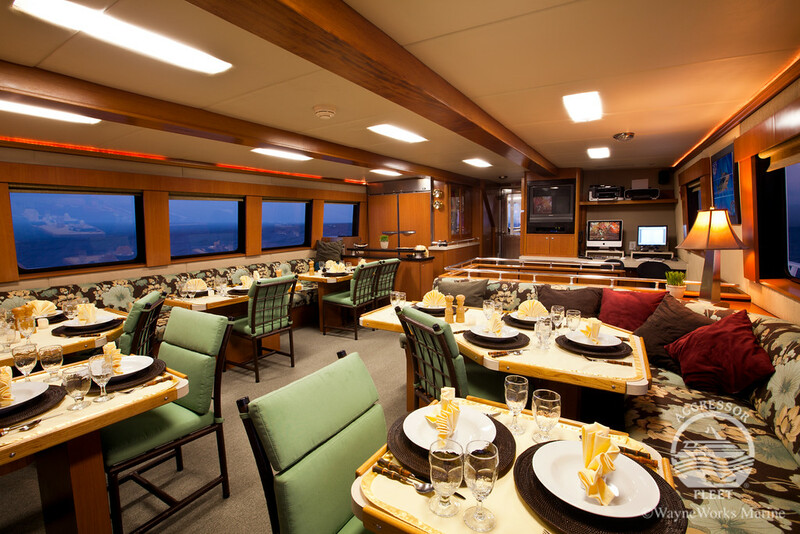 Friday night, dinner is not served onboard; however, the crew will recommend a restaurant in the marina. 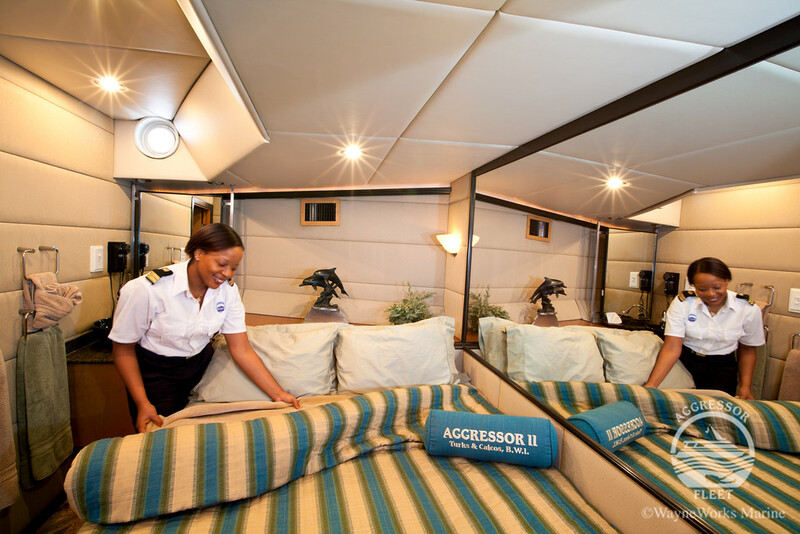 > SATURDAY: Check out is between 7:00 and 8:00 a.m.
Turks & Caicos Aggressor II's accommodations include six Deluxe staterooms, each having a double and single berth with ensuite bath and flat screen TV and DVD player, two Single-Share staterooms each with two single berths that share a bathroom/head between the two staterooms with flat screen TV & DVD player and one Master suite for couples that has one large double bed with ensuite bath and a flat-screen TV and DVD player. 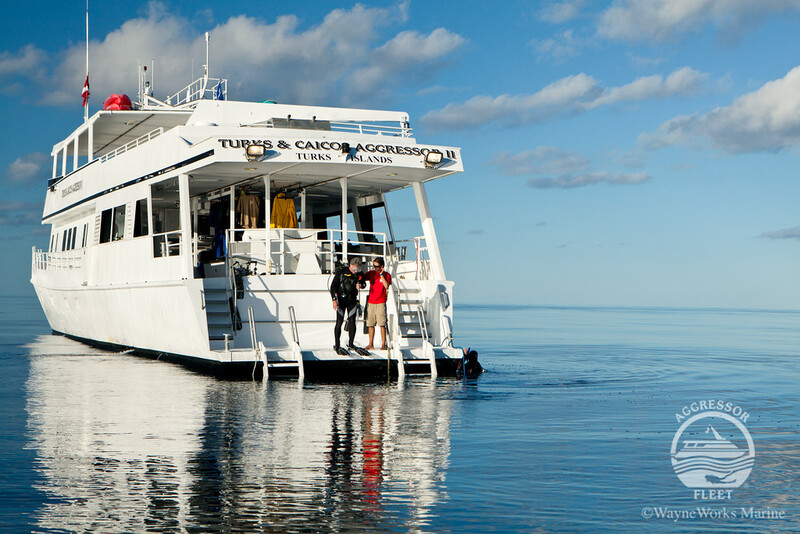 > The Turks & Caicos Aggressor II docks at the Ocean World Marina in Puerto Plata. The major airlines that service Puerto Plata (POP) International Airport are: American, Delta, Jet Blue, Westjet, and United. There are direct flights from several USA gateways. > Airport transfers can be prearranged and are not included in the price of the trip.